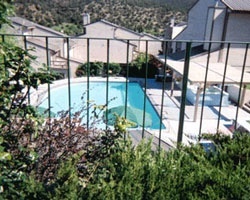 *Champions' Run Condominiums* is located in Ruidoso, in southern New Mexico's Rocky Mountains. Ruidoso weather is mild and great for outdoor activities including camping, hiking and bicycling in the Lincoln National Forest. 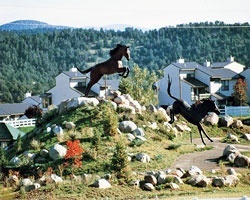 The Ruidoso area claims two of the state's finest casinos, and offers horse racing at the Ruidoso Downs race track, top rated golf courses, horseback riding, tennis, art galleries, museums, and shopping. Towering above the village of Ruidoso is Sierra Blanca and the New Mexico ski resort, Ski Apache. Come vacation in Ruidoso- it's the year-round playground of the Southwest! For more information about this resort, visit www.vriresorts.com. Week available for immediate use! Buyer may receive a title fee credit, inquire for details! 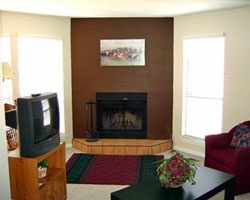 Enjoy the scenery, nearby mountains, lakes & more! Buyer may receive a title fee credit, inquire for details! Great resort close to casinos, Ruidoso Downs race track and golf courses! Week 37! Buyer may receive a title fee credit, inquire for details!